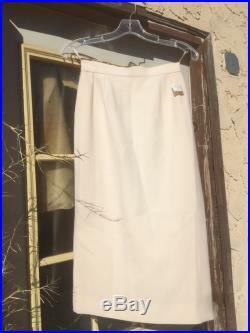 This 1980's chanel skirt is a classic. 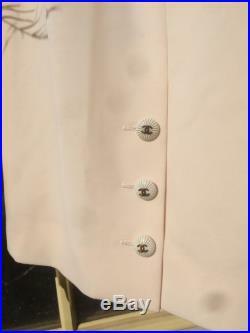 The buttons with gold accents hold a subtle slit together. 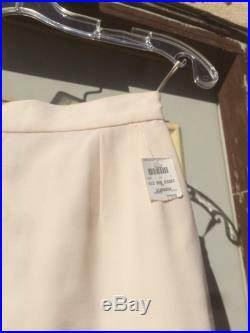 It is in impeccable condition having never been worn. 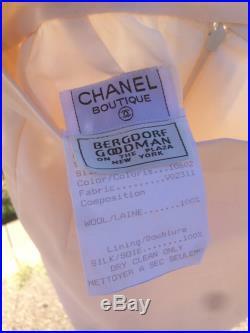 The bergdorf goodman tag is still attached. Fabric is a soft wool. 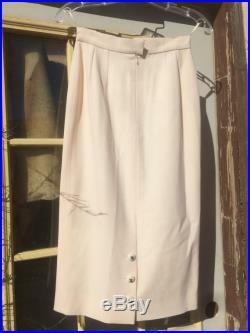 Size 36measurementswaste 25"length 26 3/8"hips 32all sales finalsold as is.